"Was an awesome read, really enjoyed the input and point of views from other entrepreneurs." "I am loving it! You have a very human way of carrying your message across to the reader." The world today is filled with opportunities and people are redefining what it means to be an entrepreneur. There are those who have a breakthrough idea and successfully launch it; others see a gap in the market to buy a franchise or an existing business; some establish consulting or advisory services. These are the New entrepreneurs and all have in common a passion to pursue a business of their own and have taken action to make it happen. If you have a yearning to join the ranks of the New Entrepreneur but are unsure how to take that first step, this book is for you. If you are already a business owner, you will benefit from its practical tips and the many insights shared by other successful entrepreneurs. Practical tips and insights for starting, ﻿growing and sustaining a business of your own. How to research your business idea. Strategies implemented by successful entrepreneurs. How to write a “living” marketing plan. Tactics to attract and retain customers. How to manage difficult business situations and unhappy clients. Tips for managing business areas in which you are not skilled. How digital marketing can grow your business. The benefits of investing in yourself, the business owner. Coping strategies for personal challenges you may face. 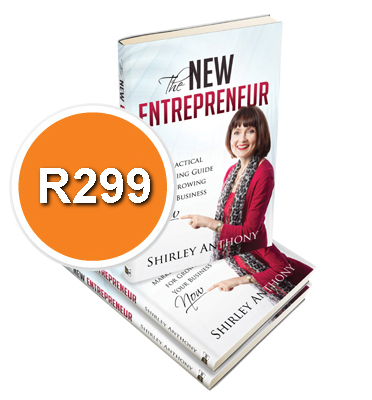 Some of the proceeds from the sale of Shirley's book, The NEW Entrepreneur, are being donated to PinkDrive. PinkDrive provides free breast cancer education, clinical examinations, mammography and pap smears to all medically uninsured women across South Africa. A must read for anyone seeking inspiration... dealing with the fear that entrepreneurs can experience...Great advice! A compelling read for both would-be and current business owners... Practical marketing tips and engaging anecdotes. Covers the all-important aspects of mindset, loneliness, ethics, attitude and motivation. A refreshing read! 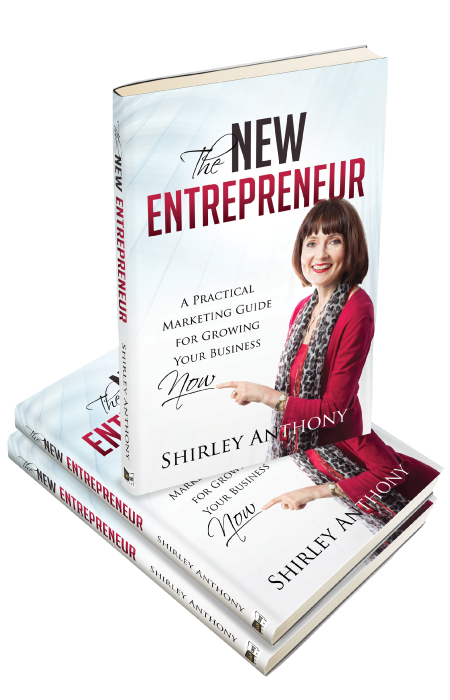 “The NEW Entrepreneur provides you with the tools to assess the viability of your business idea and to test its potential, to help you market it, attract customers and adopt winning strategies. Not just a Marketing guide, it also highlights some of the challenges entrepreneurs face and provides tips on how to overcome these obstacles."